Fall means layers, and this ensemble has stolen our hearts with a leopard print cardigan from Sanctuary Clothing paired with a graphic tee from Chaser Brand. The mix of the animal print and graphic tees is unexpected, and yet the tones still make this look perfect for fall. Pair it with some Spanx leggings and BOPBE Handmade earrings and you have a complete look that is sure to turn heads. We can’t get enough of this sweater from Elan. The oversized silhouette gives you just a bit of that ’90s vibe that’s oh-so-hot right now, but the slit sleeves with pearl details are what really catch your attention. Throw it on with a pair of leggings or skinny jeans and you’re good to go. 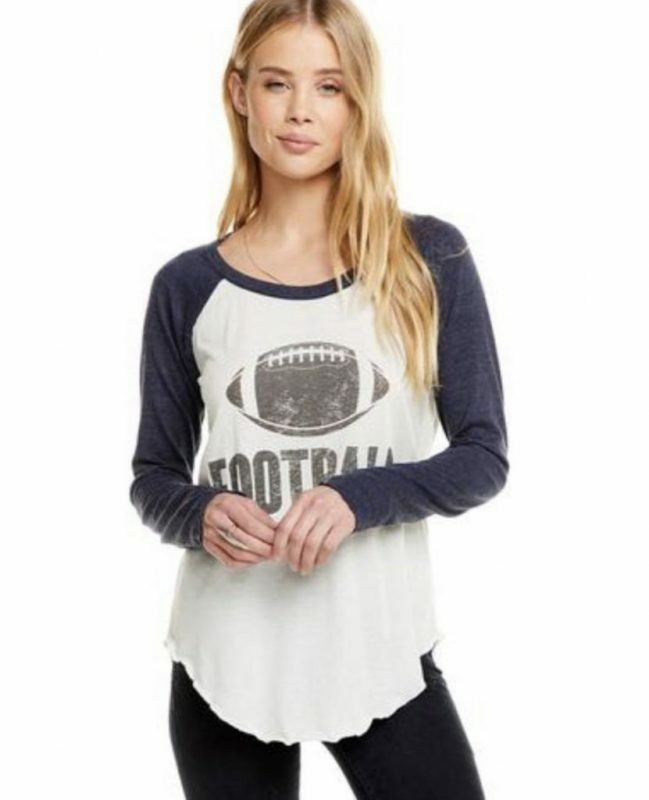 Fall means football, and so it’s only appropriate that your basic baseball tee gets an update. We absolutely love this Chaser top with a football graphic. It’s simple and oozes a casual comfort that while still being super stylish. We suspect this will be on regular rotation in many wardrobes. Another fall staple we love is the “Shrug it Off” sweater from BB Dakota. 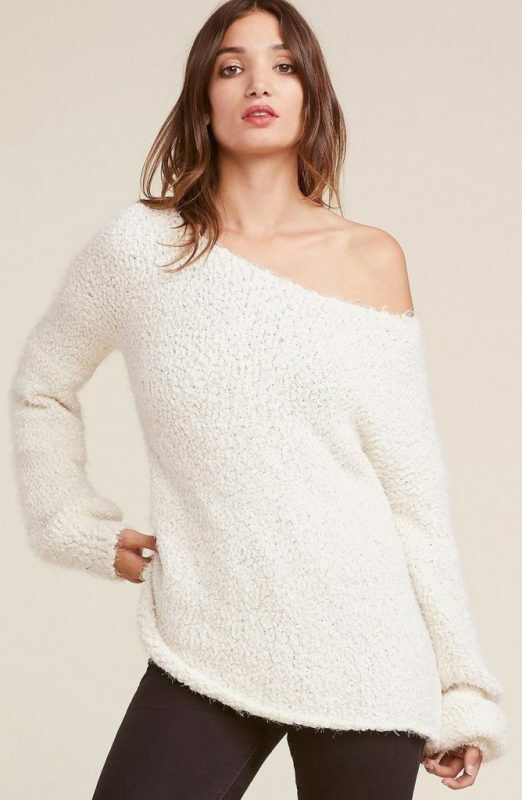 This sweater is the perfect casual piece for your wardrobe, but the off-the-shoulder silhouette also makes it unique. Give everyone the cold-shoulder treatment during the early fall months with this on-trend look. This and many other fall fashions are currently in stock at Scout & Molly’s English Village location. Visit us in The Shoppes at English Village, and take a look at some of these inspiring trends yourself. Copyright 2019 Scout & Molly's English Village. All Rights Reserved.